A report has warned that half the money the European Union spends on aid is wasted, stolen or held up by incompetence. These include a £1.8million EU scheme for a solar panel installation that is not working, as well as £26.8million earmarked to combat corruption in Nigeria, which cannot be handed over because of fears it will be siphoned off by corrupt Nigerian officials, MailOnline has reported. The study by MEPs responsible for auditing EU spending found that £11.5billion of the £23billion doled out by Brussels each year fails to achieve its stated aims. 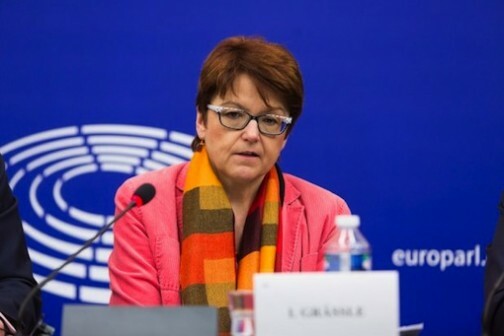 Ingeborg Graessle, chairman of the European Parliament’s committee on budget control, said the EU was “effectively throwing money down the toilet”. The senior German MEP called for a wide-ranging review of the way Brussels spends aid money. She told the Sunday Times: ‘Hundreds of thousands of people flee to Europe from countries where we are spending billions without any apparent effect. Miss Graessle said more than 900 aid projects worth £11.5billion are either significantly delayed or will fail to achieve their objectives. She warned that her findings may be the ‘tip of the iceberg’, as some embassies are suspected of ‘sugar-coating’ reports to make the projects appear more successful. The European Parliament’s committee on budget control is due to report this week on the EU’s £23billion aid budget. The study will raise fresh UK concerns about the size of the aid budget and its use. The report is expected to warn that vast sums are wasted because of poor management, corruption in recipient countries and theft. Several of the failed projects highlighted are in countries that are now a source of mass migration to the EU, such as Morocco – where aid projects cost the EU £508million, Jordan – where the EU contributes £248million – and Lebanon, where £198million is spent. The EU is the biggest development aid donor in the world, but has faced criticism over its failure to properly measure the outcomes of the vast expenditure. This week’s report is expected to highlight a number of failed projects bankrolled by the EU.